Despite the wild variation between different types of goldfish, all goldfish belong to the same species, Carassius auratus auratus. 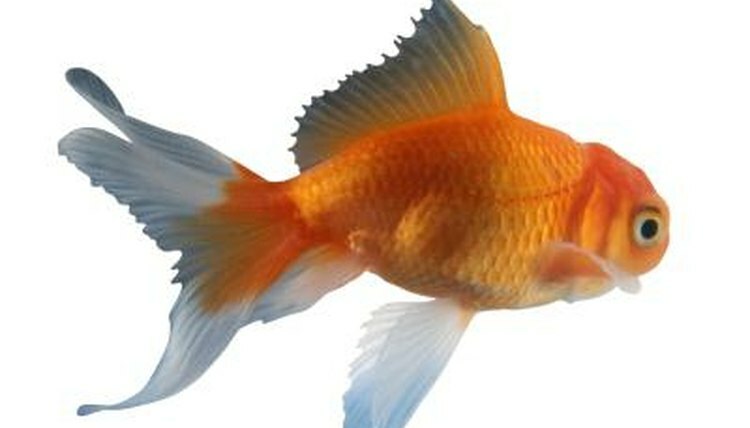 Years of selective breeding have produced a wide variety of strains of goldfish; though all remain genetically compatible. The veiltail and fantail are two different strains of goldfish with similar, but distinguishable tail shapes. Both the veiltail and the fantail goldfish have a number of traits in common. Both are considered "fancy" goldfish. This means that both strains are the result of selective breeding and they're different from the original, wild-type goldfish. Both of these strains have rounded bodies, longer fins than wild goldfish and every fin on their bodies, other than the dorsal fin, is paired. Also, both strains have a dorsal fin, which is not a given in goldfish. According to breeding standards set by the United Kingdom's Bristol Aquarists' Society, each breed has a slightly different body depth to length ratio. The veiltail should have a ratio of 2:3, meaning a three-inch long fish should measure two inches from the belly to the back. In fantails, the fish are somewhat more rounded with a ratio of 3:5. Veiltails have much longer, more flowing fins than fantails. Fantails have longer fins than a regular goldfish, but nowhere near as long as the fins on a veiltail. The tail of a veiltailed goldfish is at minimum three-quarters the length of its body length. This where the name veiltail comes from, as the fin flows like a veil as the fish moves. The biggest difference between these two types of goldfish is the exact shape of their caudal or tail-fins. In both strains, the tail fin is paired, a mutation that distinguishes them from the single-tailed wild goldfish. However, in fantails the tail is forked, or made of a top and bottom lobe. In the veiltail, the trailing edge of the tail must be straight and show no sign of a fork to comply with breed standards.